A disintegrin and metalloproteinase 12 (ADAM12) is known to be involved in chondrocyte proliferation and maturation; however, the mechanisms are not fully understood. In this study, expression and localization of ADAM12 during chondrocyte differentiation were examined in the mouse growth plate by immunohistochemistry. Adam12 expression during ATDC5 chondrogenic differentiation was examined by real-time PCR and compared with the expression pattern of type X collagen. The clustered regularly interspaced short palindromic repeats (CRISPR)-Cas9 system was used to generate Adam12-knockout (KO) ATDC5 cells. Adam12-KO and Adam12 overexpressing cells were used for analyses of ADAM12 expression with or without TGF-β1 stimulation. ADAM12 was identified predominantly in chondrocytes of the proliferative zone in mouse growth plates by immunohistochemistry. Adam12 was upregulated prior to Col10a1 during chondrogenic differentiation in wild-type ATDC5 cells. In Adam12-KO ATDC5 cells, following initiation of chondrogenic differentiation, we observed a reduction in Igf-1 expression along with an upregulation of hypertrophy-associated Runx2, Col10a1, and type X collagen protein expressions. In ATDC5 wild-type cells, stimulation with TGF-β1 upregulated the expressions of Adam12 and Igf-1 and downregulated the expression of Runx2. In contrast, in Adam12-KO ATDC5 cells, these TGF-β1-induced changes were suppressed. Adam12 overexpression resulted in an upregulation of Igf-1 and downregulation of Runx2 expression in ATDC5 cells. 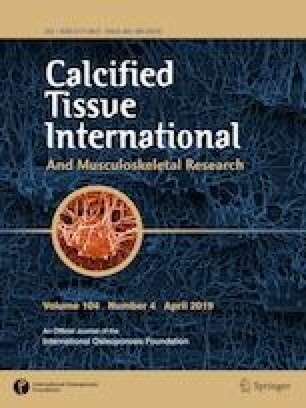 The findings suggest that ADAM12 has important role in the regulation of chondrocyte differentiation, potentially by regulation of TGF-β1-dependent signaling and that targeting of ADAM12 may have a role in management of abnormal chondrocyte differentiation. This work was supported by the Japan Society for the Promotion of Science (Nos. 16K20055, 17K11010). The authors thank Ms. Aki Yoshida and Ami Maehara for their technical cooperation. MH: Study design, Data collection, Data analysis and interpretation, Manuscript preparation. KN: Study design, Data analysis and interpretation, Manuscript preparation, Final approval of paper. JH: Study design, Data analysis and interpretation. TF: Data interpretation, Critical revision of the article. MS: Data collection. YO: Data collection. KF: Data interpretation, Critical revision of the article. DMS: Data analysis and interpretation, Critical revision of the article. TO: Data interpretation, Critical revision of the article. All authors revised the paper critically for intellectual content and approved the final version. All authors agree to be accountable for the work and to ensure that any questions relating to the accuracy and integrity of the paper are investigated and properly resolved. Masahiro Horita, Keiichiro Nishida, Joe Hasei, Takayuki Furumatsu, Miwa Sakurai, Yuta Onodera, Kanji Fukuda, Donald M. Salter and Toshifumi Ozaki declare that they have no conflict of interest. All procedures and protocols performed in studies were approved by the Animal Care and Use Committee of Okayama University (approval number: OKU-2018582). This article does not contain any studies with human participants performed by any of the authors.